Laurencia was born and raised (with the exception of a few years in Canada) in Michigan. She’s had a notebook in her hand since she was old enough to write. Becoming a published author has always been a dream of hers. This is a story about two lovers that were forbidden to be together. The main protagonist, Rowan is from the Redgrave family. This is a family of witches who are relatively powerful and cold-hearted. The other main character in the book is Cade Blackwell. The Blackwell family is made of mostly none practicing witches. The two characters meet innocently in the woods when Rowan stumbled upon Cade practicing magic. They quickly became friends and Rowan discovered that Cade was viciously attacked by her father Damon. There was a strong feud between Redgraves and Blackwells. It was apparently centuries old. Damon didn’t like the family and made it known to others. After Rowan and Cade met secretly several times in the woods, they had feelings for one another. Rowan’s brother Avery, finds the two in the woods naked one day. He tells his father. Damon voiced his opinions to Rowan about Cade and the rest of the Blackwells, but she didn’t listen. Damon decides to take matters in his own hands by directly confronting the Blackwells. The two families ensue in a magical battle. Spells fly back and forth across the room looking to hit a target. Cade charges a spells and shoots Avery with it, killing him. The death throws Damon into a rage and forces the Blackwells to magically flee for their lives. Damon states that Rowan and Cade can never be together again. Upset over the situation, Rowan gets involved with another guy shortly after named Adam. She gets pregnant and together they build a family with their daughter Iris. Times goes on and Rowan is left with despair and loneliness. Not being able to find her true love and being attacked multiple times by her father hindered her greatly. After one of the attacks, she wasn’t able to cast spells any more. Twenty-five years after their initial break up, Rowan and Cade run into each other. They begin to rekindle from their lost time. Adam, who became Rowan’s husband, finds out about the two seeing each other. Upset over the issue and wishing to have his family back, he contacts Damon. The two of them team up to ensure that Rowan and Cade stay apart. Damon goes to extreme ends to prove his point. He attacks Iris and murders several of Cade’s family members. Luckily for those involved, two members from the witch council were aware of the situation. They devised a plan to help Rowan and Cade as much as possible. With the assistance of magic, the members were able to set things right and have a case against Damon and Adam for all of the problems they caused. This story was okay. My favorite aspect of the book was the idea of being triumphant after a huge ordeal. At many points, the characters were conflicted and had to fight or flight. I also like the “bad guy” in the story that is ruthless like Damon. On the other end though, sections of the novel need more description and transition from scenes. It was difficult at some points to conceptualize what was occurring because it wasn’t really explained. I would’ve also like to experience more character growth. Though the story itself covered several decades, it felt like the characters hardly changed with the time. 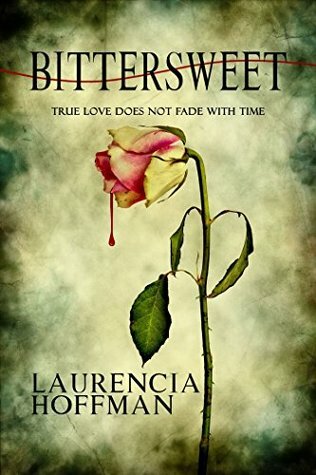 In many ways, Bittersweet is like Romeo and Juliet with a magical element. If you’re interested in some quick romance or magical influence in your reading, give this book a read.